Mosquito Apocalypse: Should We Wipe Out All Mosquitoes, Everywhere? 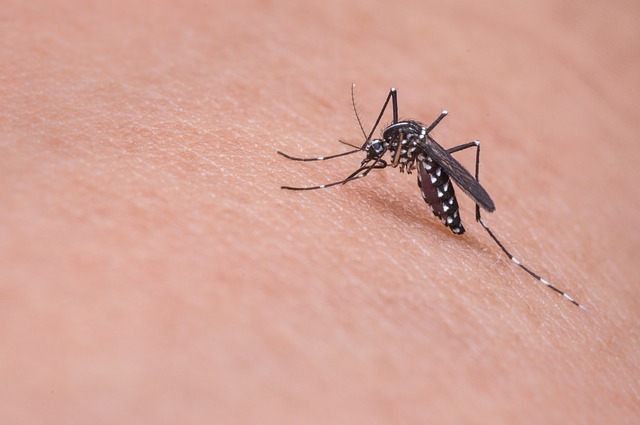 Like insectian Femme Fatales, it’s only female Mosquitoes that bite. The tiny bloodsuckers feed exclusively on humans. They’re resilient predators, who can breed in a little thimble of stagnant water. There is no cure or vaccine for Dengue Fever, one of the many plagues they often carry in their blood. I’ve often wondered if the little monsters inspired ancient bards to invent vampires? There’s no doubt, they’re one of our worst natural enemies. And now research scientists have come up with a doomsday weapon against them: genetics. The basics are simple. Anthony James, a researcher at UC Irvine, figured out a way to splice genes that destroy the female’s flying muscles. The males mate and females are born flightless. Unable to lift off, they can’t feed or fly or mate, so they starve to death on the water. If the mother gave birth to any other females, they die too. The males live and now carry the hacked gene. In cages in Mexico, James has already shown the modified gene can quickly decimate a Mosquito population. James has at least acting responsibly, testing his creations in private. But since no laws exist governing genetically modified insects, others have pursued more aggressive strategies. The question is whether we should wipe out Mosquitoes everywhere? The fact is we have absolutely no idea what the repercussions of this would be. This is not a tree huger thing, as a few idiots have claimed on other blogs. This is pure practical thinking. Everything is intricately and infinitely connected. Kill Mosquitoes and the creatures that live on them die off too. It starts a chain reaction. Another thing to consider is that evolution doesn’t take eons. It can happen fast. If you manage to destroy 80% of Mosquitoes, the ones that survive are sure to evolve defenses that make them even more resilient. Now you have a super-predator. Nature has a way of resetting itself. Let’s not forget that the Mosquito may even serve a necessary purpose to keep the human population in check. We’ve already hit a billion people on the planet. It only took a few decades for us to go from 6 to 7 billion people, despite tiny vampires killing off a few million of us a year. The next billion will take half that time. The last problem this creates is one the James pointed out: it could turn public opinion against genetic modification, a science still in its infancy. That would be the real shame, because it has a lot of potential to make lives better. We have the power to take control and direct our evolution, make ourselves naturally immune to disease, lengthen our lives, increase our intelligence. We may never get to go there, because some irresponsible idiot decides to unleash modded Mosquitoes into the wild. To think they can’t travel is naive. It’s probably already happened. Even though the Caribbean is “isolated” nature has a way of breaking through barriers we set up for it. Gengineered Mosquitoes may have already left the testing zone and traveled to greener pastures. The consequences are impossible to see. And of course, our politicians are not that bright. They probably will write laws that govern gene hacking with typical, sweeping, short-sightedness. Nothing like giving a politician a platform to act out of ignorance. We have a Doomsday weapon. The question is, do we have a right to use it? As Einstein said “we don’t know one millionth of one percent about anything.” With that kind of limited insight, can we really predict the consequences of such an audacious and arrogant act? It feels like Hubris to me.